We want to see evidence of work in the classroom and out, contributions to lesson planning and feedback, creative displays and in engaging the children. Testimonials from teachers, headteachers, parents and others are welcome. If you or your school team has found an innovative way to teach literacy and English, tell us all about it. The judges will want to see clear, quantifiable evidence of the success of any initiative and will also look at how your work has promoted your subject within your school or community. We are looking for teachers and teams who have created a sense of enthusiasm about the study of English – among students and colleagues – while also delivering excellent results. * The supporting documentation should contain a minimum of three case studies for pupils (any school phase) who have progressed and shown real achievement. Maths sometimes suffers from a bad reputation. "When will we ever need this in real life?, and "this is sooooo boring" are phrases that can be all too familiar to maths teachers. Have you managed to solve this problem? Have you found a way to help students enjoy mathematics AND be successful at it? If so, we want to hear from you. The judges will not only want to see proof of how you have helped students to make progress in maths, but also how you have created a buzz around your subject. We want to know how you have made children excited about studying maths and colleagues excited about teaching it. * The supporting documentation should contain a minimum of three case studies for students (any school phase) who have progressed and shown real achievement. This award recognises excellence and innovative teaching in science, technology or engineering. Judges will want to see clear examples of innovation and quantifiable evidence of the success of any initiative. They will also be on the lookout for how you have increased the status of your subject, whether by encouraging more students to pursue careers in Stem or by leading whole-school events to make science, technology and engineering more visible. * The supporting documentation should contain a minimum of three short case studies showing innovative and effective approaches to engaging students in STEM and the impact these have on student progression and aspiration at any school stage. This award is aimed at recognising the most inspirational new teacher in the country. 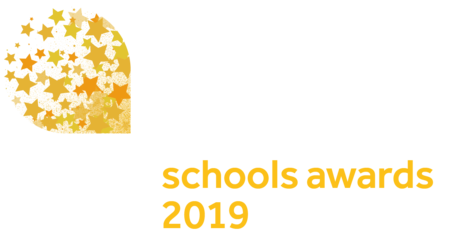 Teachers can nominate themselves or they can be nominated by governors, teaching staff or parents (if you are nominating someone, please check first that they are willing to be put forward). In your submission, explain exactly what is special about the teacher and what impact they have made since joining the teaching community (in the past three years). Judges are looking for new entrants who are truly exceptional in their teaching and who regularly inspire and capture the imagination of their students. We’re looking for the best new teacher in the country, so it will help if your nomination includes hard evidence of success and achievement, and independent testimonials from a number of people. All schools benefit from great leadership – and if your school has a successful and inspirational headteacher, we want to know. In your submission, detail all the elements that make them a fantastic leader, including staff development and wellbeing, academic and other achievements, and community engagement. We do not want to know about how you’re meeting school inspectors’ demands but do want to know about all the other aspects that go into creating a truly successful school. Please include at least three independent testimonials. Video submissions are welcomed, but these should not exceed 90 seconds. Nominations can come from heads themselves or from governors, teaching staff or parents. If you are nominating someone else, please check in advance that they are happy to have their name put forward. This award recognises measurable excellence in the use of technology by a teacher or a school. Judges will be looking for tangible evidence that the thoughtful and considered implementation of technology has had a positive impact on educational outcomes of students. They will take into account the scope of the use of technology and the different aspects of school life and improvement its use has influenced, as well as academic achievement. Please supply any relevant data and case studies. 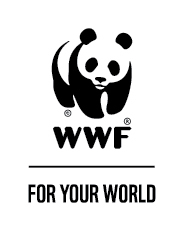 We’re looking for a school on a sustainability mission, with a passionate commitment to helping pupils develop as environmental citizens and green ambassadors for our planet. The winning school will have raised the bar when it comes to a whole-school approach to sustainability, finding innovative approaches to exploring a range of issues across all aspects of school life. Whether schools are working on eliminating waste, investigating sustainable designs, growing food or attracting biodiversity in the school grounds, we’ll look for evidence of how pupils are encouraged to develop skills such as working together, critical thinking, holistic thinking and problem-solving. And we’ll want to see how pupils are enabled to put their learning into action, ensuring there are opportunities for pupil voice and pupil-led activity, with opportunities to engage with parents and the wider community and make a real difference to their local environment. Please feel free to support your entry with photos, films, examples of pupil work, school newsletters, letters from parents/governors or links to your school website. If your school is outward facing, then this award is for you. We are looking for schools that can show how they work with and support their parents and local people or collaborate with other schools, local businesses, universities or colleges. Judges will need to see evidence of effective engagement. Please supply a minimum of three testimonials from partners or the local community. How does the world view your school and how does your school view the world? This award is for the school with the most innovative international strategy. This can be an initiative to improve pupils’ and teachers’ understanding of other countries, languages and cultures or a full-scale international partnership. You will need to demonstrate the impact this strategy has had across the school and the wider community. The judges will be keen to see clear achievements and quantifiable evidence of the success of any initiatives. Never has the role of the school business leader been more relevant, as funding, wellbeing and teacher recruitment dominate our educational landscape. We are seeking examples of exceptional school business leaders who have harnessed the challenges faced by their school(s) and turned them into opportunities. That might be by leading their schools through financial challenges or organisational restructure, through collaborative working, by income generation or by entrepreneurial activity that has impacted on their school’s success. In your submission, detail all the elements that make them an exemplary business leader, including examples of their impact on educational outcomes and how their work has supported their headteacher and governing body. Please include at least three independent testimonials. Video submissions are welcomed, but these should not exceed 90 seconds. Nominations can come from headteachers or from governors or senior leaders. This award recognises a teacher or school with clear evidence of promoting a healthy attitude to food and exercise, and mental wellbeing for staff and pupils. * The supporting documentation should contain a case study illustrating the whole school approach to health. Entries should also show where other curricular areas have benefited. We would like to see entries from schools that put creativity at the heart of their work. This isn’t about individual projects in art, drama, music or design (although it could take in one or all of these subjects); this is about making children think differently, beyond the strictures of the conventional curriculum. Ideally, schools that enter should have taken a whole-school or cross-curricular approach to one or more projects and seen a blossoming in creativity in their pupils. While, of course, creativity is hard to measure, we would like to see evidence that the scheme or schemes has benefited either the entire school, the targeted group of pupils and/or the wider community. Judges will want to see that the early-years setting is at the centre of its community and parents are as involved and enthusiastic about the setting as the children who attend it. It will be a given that it is excellent at offering the prime areas of learning: communication and language; physical development; and personal social and emotional development, and at promoting the characteristics of effective learning. Provide evidence that your setting brings something unique to the mix in terms of the creativity and innovation that is at the heart of early years education. Show us how you are inclusive and how you meet the needs of every child who attends your setting. All types of Early Years provision are eligible and we welcome entries from childminders as well as private, voluntary, independent (PVI) and school based settings. For primary schools, the key challenge is sparking a love for learning and nurturing it until it burns brightly with a power of its own. Has your school notched up great achievements (and we’re not just looking at inspection reports)? Have you shone out among other schools in the area? Did you blaze a trail of improvement? Do all your children love coming to school? Using evidence to support your case, tell us the secrets of your success. Was it down to innovative ways of working, parental involvement, pure grit and determination, or something else? However you did it, if you believe your school stood out during 2017-18, we want to know. This title will be open to secondary schools which have performed outstandingly in the previous 12 months; however, it is equally applicable to those that have experienced rapid improvement and those that are maintaining continued excellence over a longer period. The judges want to see more than academic achievement: entries should demonstrate innovation, imagination and efforts to develop children in ways that go beyond the league tables. You should provide evidence to support your application, be it inspection reports, parent testimonials, data analysis or anything else you feel would be relevant. Alternative provision units provide invaluable support to students. Teachers in these units work hard every day to make sure that students who may not be able to attend conventional school do not go without the great educational experience they deserve. This award is open to any type of standalone alternative provision (schools for students with special educational needs or emotional and behavioural difficulties, and pupil referral units). In your submission, tell us why the academic year 2017-18 has been outstanding for your unit, citing successes and improvements. We would like quantifiable evidence to support your case. For example, you may have had improvements in attendance levels, staff retention, parental engagement or student success. You may have developed new and innovative ways to support students in their learning, helped them engage with their local community (including businesses), or you may want to tell us something else entirely. We want to look beyond traditional methods of measurements and celebrate success and innovation in alternative provision. This award will reward someone who has made a significant contribution to education. It could be a well-known figure or a local hero. In your submission, explain exactly what the individual has achieved in their career and why you feel they deserve the trophy. Your nomination should include at least three independent testimonials. Please check with the nominee beforehand that they are happy to have their name put forward.